Landscape: This is another beautiful route through undulating hills, quaint hamlets and rural countryside, some claiming it to be more scenically varied than the Camino del Norte and even the Camino Frances. A few people also say it is an easier walk than some of the other camino trails, as the steeper ascents and descents come towards the end of the journey. There is some road-walking involved, and at one point stretches for 17 km, but overall, the route is mainly off-road in beautiful countryside. A Note About the Weather: The south of Spain is extremely hot (it can reach over a 100 degrees F in the summer), so the best times to travel are in the cooler periods between April-June and September-October. It gets quite warm during these periods, but the months in between (mid-June, July, August) can be quite unbearable and the heat often slows down camino walkers considerably. Even September has been known to be too hot, so check the weather patterns before you travel so you can plan accordingly. Route: This is one of the quieter camino roads that leads from Seville in the south of Spain to Santiago de Compostela in the North. This route, which was once an ancient Roman causeway, passes through the west of Spain, through towns and cities such as Badajoz, Caceres, Salamanca and Ourense, before arriving in Santiago de Compostela. Alternatively, pilgrims can join up with the Camino Frances at Astorga and walk to Santiago de Compostela from there. There are also other variations in the route that you might be interested in. To learn more about the different routes available on the Via de la Plata you can click on HERE for some free guides. 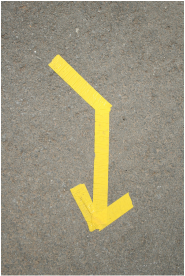 Sign-Posting: The route is sign-posted, but unlike the Camino Frances, pilgrims are advised to be vigilant as the arrows can be easily missed. Accommodation: There are pilgrim hostels en-route, though you might have to walk around 28-30 kms between towns at some stages. Scroll a bit further down for the map! This is a list of some of the albergues along the Via de la Plata route. Used in conjunction with your guidebook and other resources, this come in handy. This is a great interactive route-planner that tells you the distances between any two places en-route. Just choose a starting point and a finishing point and you'll know exactly how far you will walk.